When you are a child, one of the most exciting places to go is a carnival or amusement park. Everything seems so big, bright and loud! It is easy for children (and big kids) to get caught up in the hype of a carnival. You often see kids running from ride to ride, trying to fit in as much as possible before it’s time to go home. Whilst we love to see kids get excited over our carnival rides we also need to make safety our number one priority. As a parent, it is important to make sure your children are safe and within eyesight at all times. 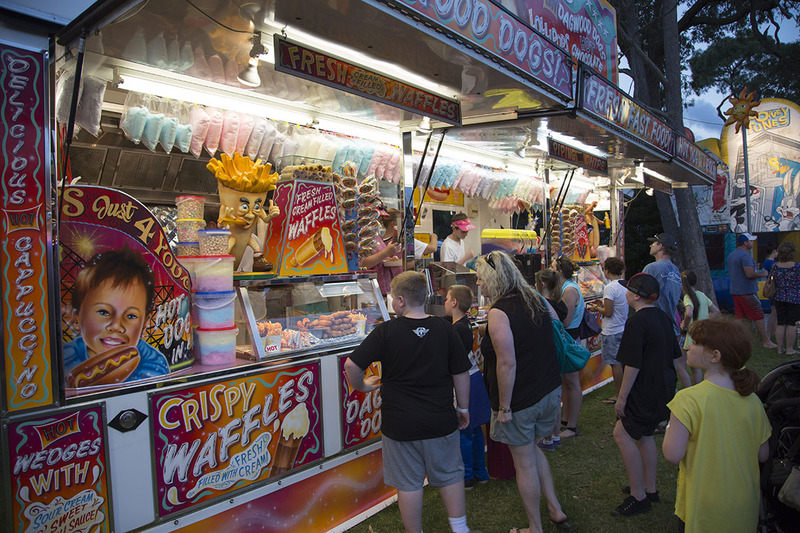 We have put together five great tips to help you and your family stay safe while enjoying a Joylands carnival. As we previously mentioned, kids love to get lost in the hype of a carnival and the rides. This makes it easy for children to get lost once inside the carnival. Arranging a meeting point as soon as you arrive is the best way to make sure everyone can be found, if anyone gets lost. It’s important to note not to choose the entrance or parking lot of the carnival. This makes it even easier to get lost as these areas are high traffic ways. It can help to choose a point that can be seen from anywhere in the carnival such as a tall ride or attraction. Alternatively, choosing an information or ticket booth is good as they are used to dealing with lost children. Choose a meeting point before you get too far away from the entry gate. Although carnivals are designed for fun, it doesn’t mean you can choose not to follow the rules. Rules are put in place to ensure you and your family are as safe as possible. Climbing fences or abusive behaviour are a definite no-no but are, unfortunately, extremely common. Follow the rules and advice provided by staff to make sure you leave the carnival in the same condition you arrived in. Rides have height limits for a reason. Perhaps the restraints fitted to a ride are only safe if the rider is of a certain height. All Joylands ride operators will check the height of a rider before permitting them entry. It is best to discuss these rules with your children before entering the theme park. You know your child better than anyone, if they are of correct height but still insist on riding an amusement you think is too extreme for them, you can notify the ride attendant to keep an eye out. However please note that on some rides once a ride cycle has been activated it can only be stopped in an emergency situation. Carnival food is the best! Everyone loves snow cones and fairy floss but it is still so important to make sure you drink plenty of water. Summer in Australia is extremely hot and staying outside in the sun for long hours without drinking any water or applying sunscreen is a recipe for disaster. You can easily become a victim of bad sunburn, dehydration or heat stroke. Make sure you take time between rides to have a drink of water and apply sunscreen. Taking precautions during the day will make sure you enjoy your time at the carnival without any problems! Although sometimes easier said than done, keeping a close eye on your children will ensure their safety. Make sure you can always see them in large crowds as it is easy for children to become lost or even be trampled when moving in a large crowd. Always check in front and behind you to make sure your children are not likely to trip on any older people, prams or buggies that may be around. If you need to stop, make your way over to the side where things aren’t so busy. At Joylands we love carnival rides and we know your family does too. Your safety is our biggest priority so make sure to teach your children safety procedures and keep an eye on them at all times!